The capture was part of a program from the South Florida Water Management District that started two years ago. Florida officials are celebrating a milestone after the 2,000th python was captured this week in the Everglades, part of the battle against the invasive creature that has taken over the area in recent years. Mike Kimmel, who owns a trapping and rescue company in Martin County, made the capture of a seven foot python around 3 a.m. Monday morning, according to NBC affiliate WPTV. “I was tired, I didn’t see anything until that point but I’m glad I stuck through it because I got number 2,000,” Kimmel told the station, saying he had been awake for 72 hours. 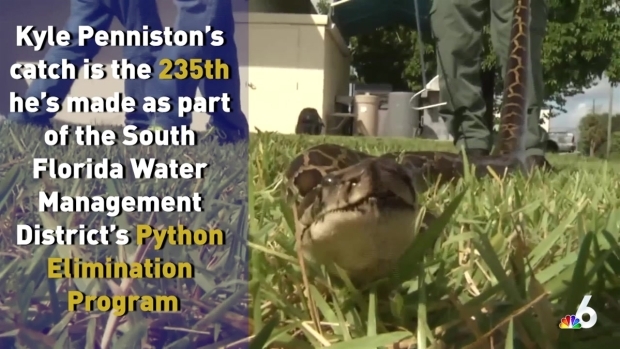 The capture was part of a program from the South Florida Water Management District that started two years ago, paying trappers $125 for a seven-foot python and $375 for a 15-foot one. 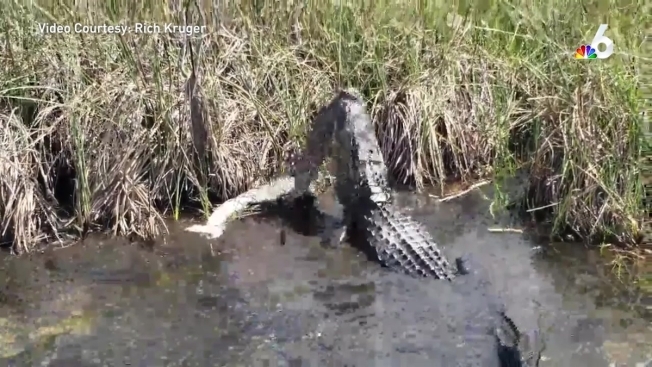 The program was created after researchers said the population multiplied in the Everglades between 2005 and 2010. A record setting catch took place this week when a Homestead man captured a massive Burmese python in the Everglades. “The first year they predicted us to get like 60 pythons and here we are at year two with 2,000 pythons. So, we’ve proven ourselves,” Kimmel said.